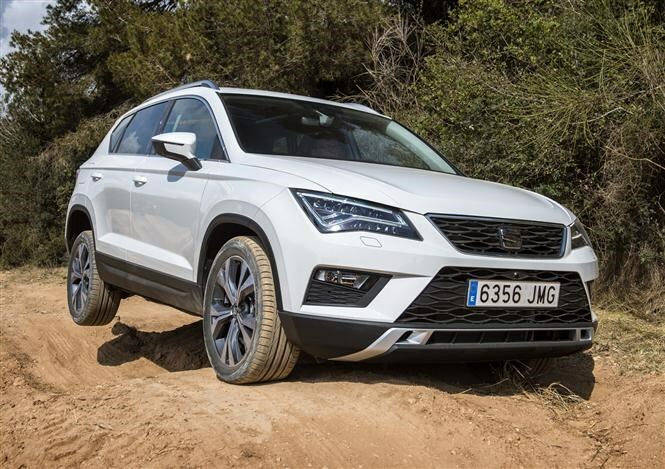 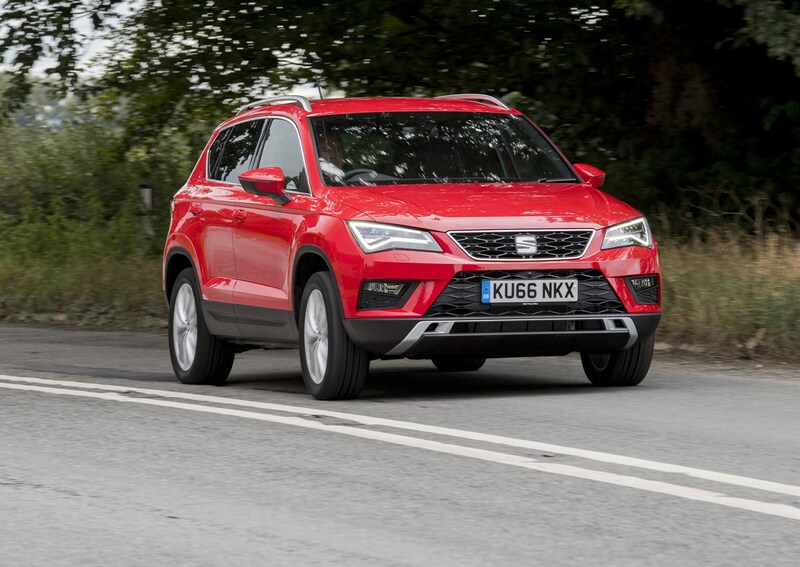 SEAT might have been late to the SUV market when it launched the Ateca in 2016, but few could argue it’s wasted any time playing catch-up. 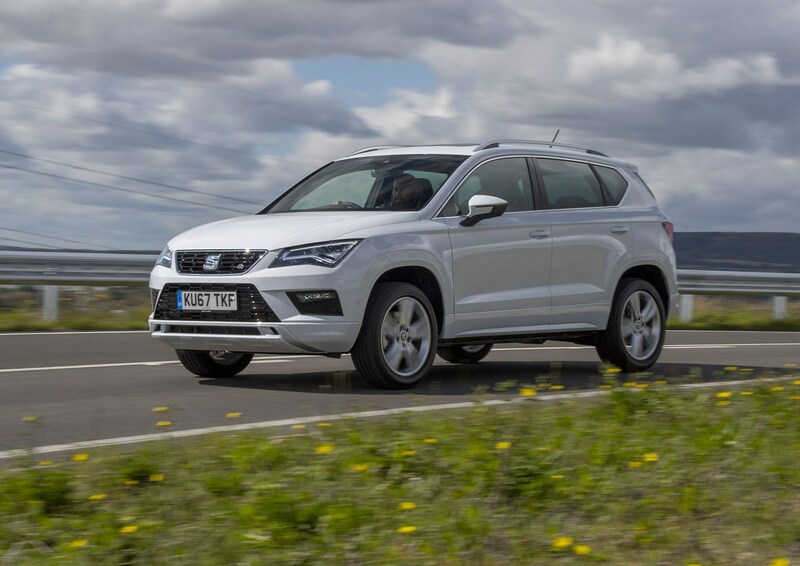 Combining excellent practicality, keen pricing and sharp handling, the Ateca is now one of the Spanish manufacturer's most popular models. 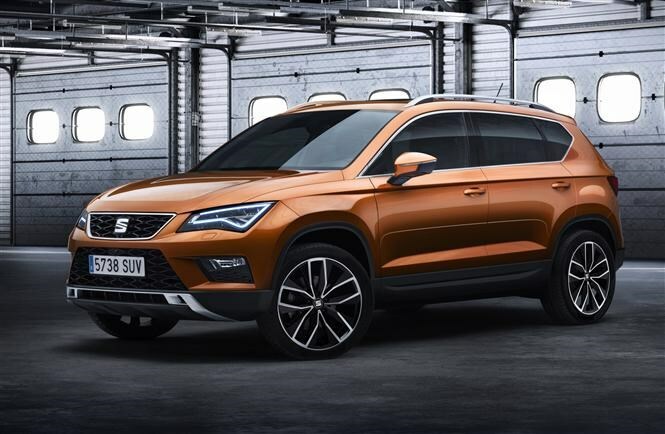 Now joined by the smaller Arona and Skoda Kodiaq-based Tarraco, it sits right at the heart of manufacturer’s SUV range and goes head-to-head with rivals such as the Nissan Qashqai, Renault Kadjar and Ford Kuga, plus many more. 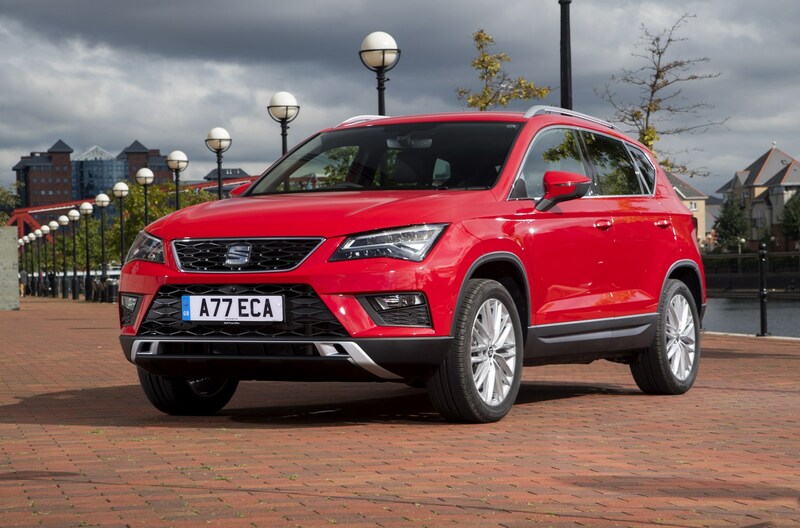 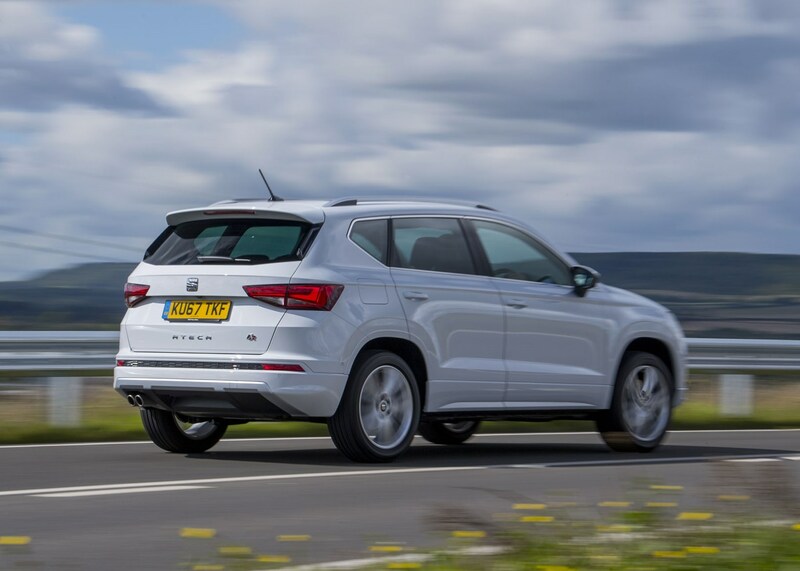 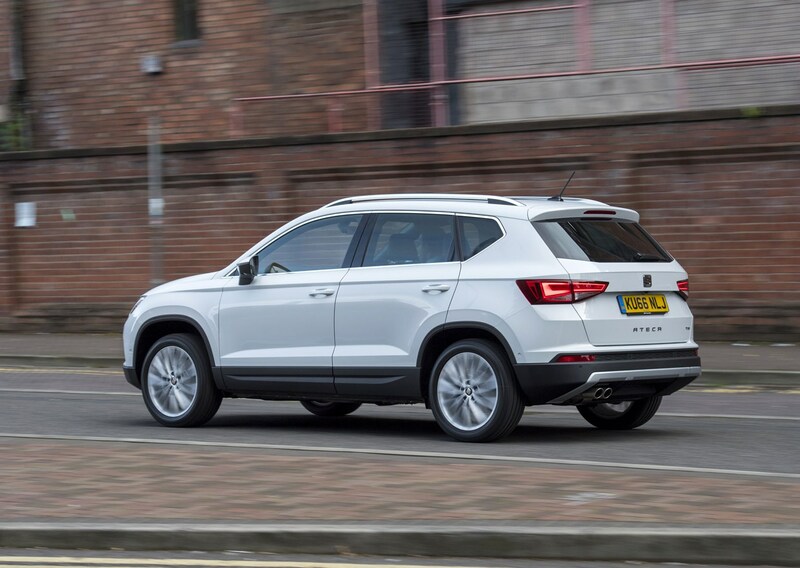 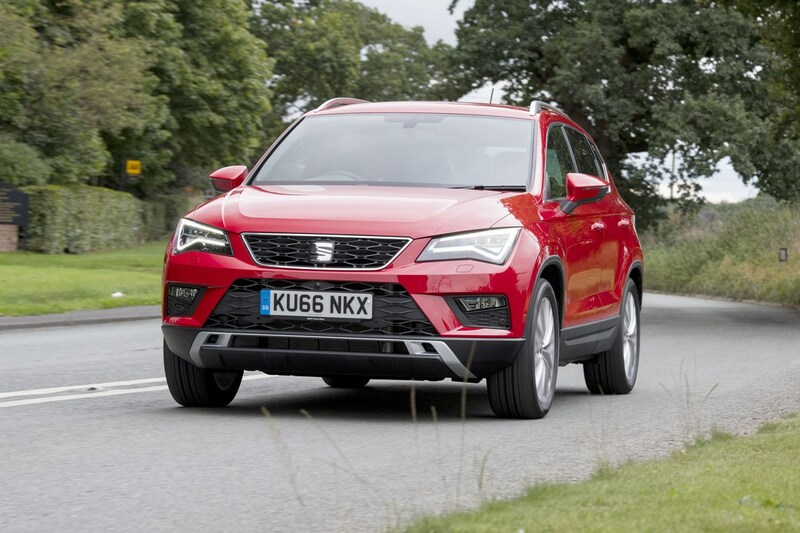 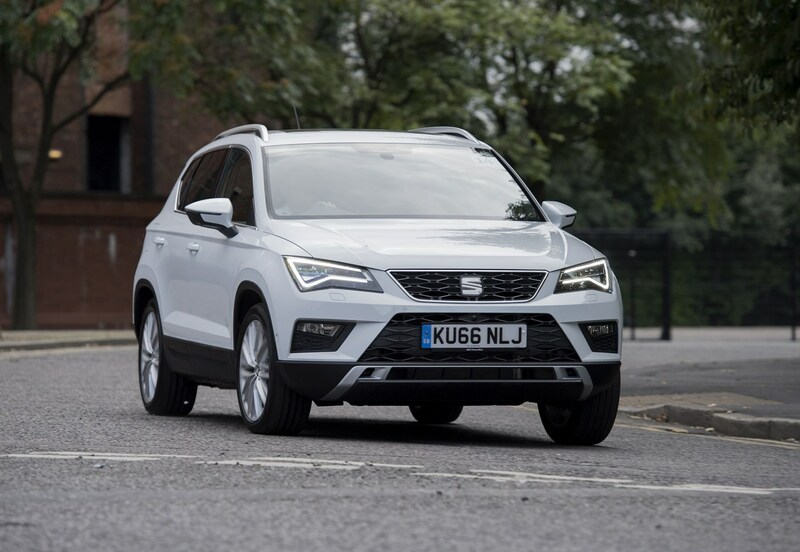 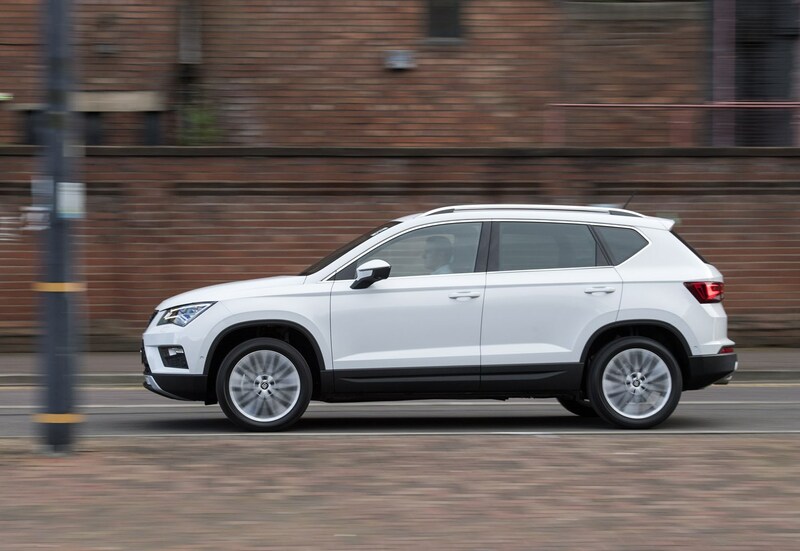 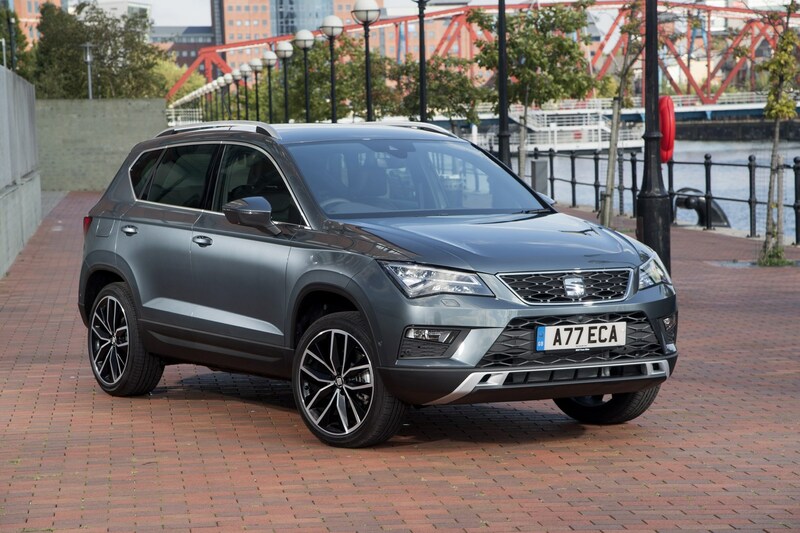 Read on for more on why we rate the SEAT Ateca so highly. 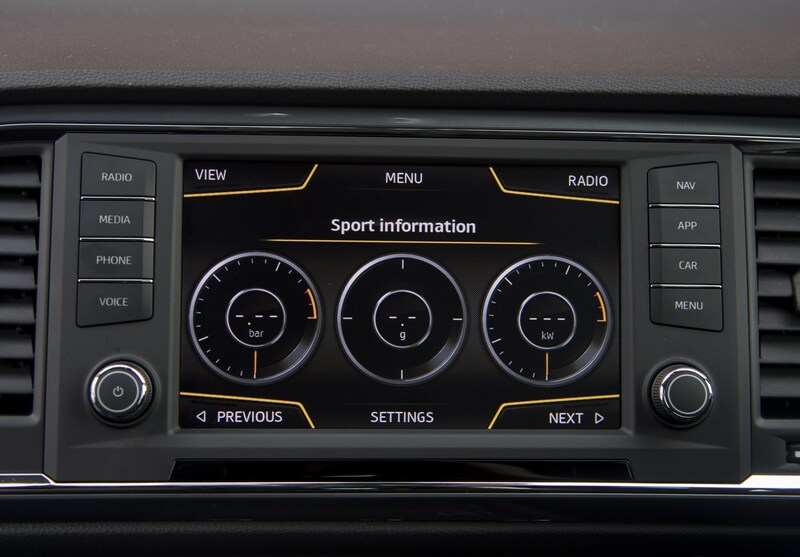 You can pick from SE, SE Technology, FR, FR Sport, Xcellence and Xcellence Lux specifications, plus there was a limited run of First Edition cars from available at launch. 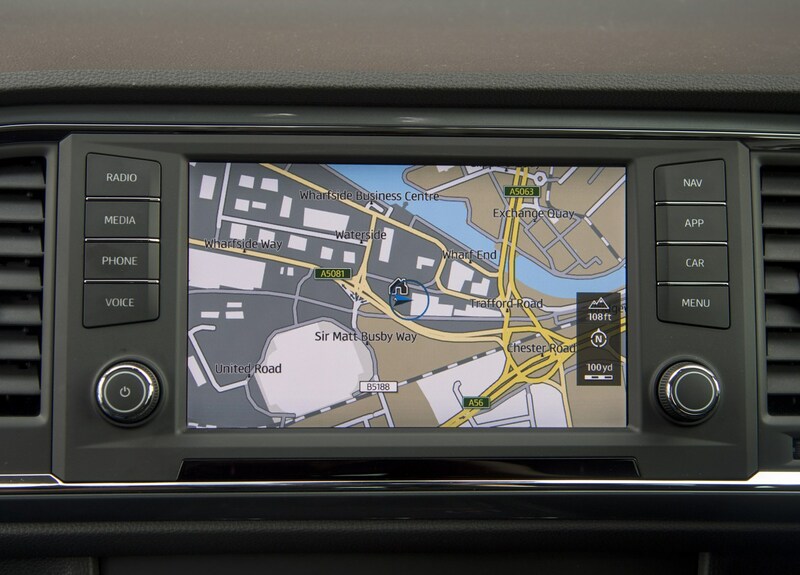 The latter uses information crowd-sourced from 13,000 people during a competition called 'Designed by You' and was packed with exciting gadgets including Traffic Jam Assist, which drives the car for you on congested city streets. 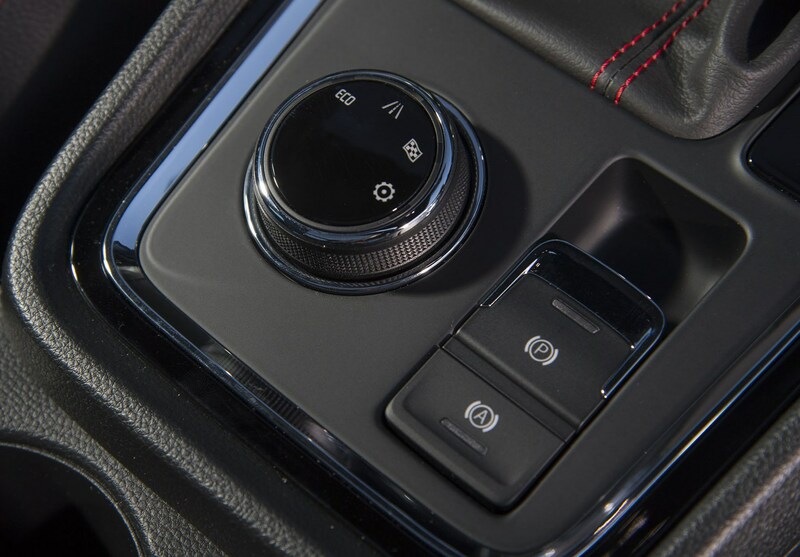 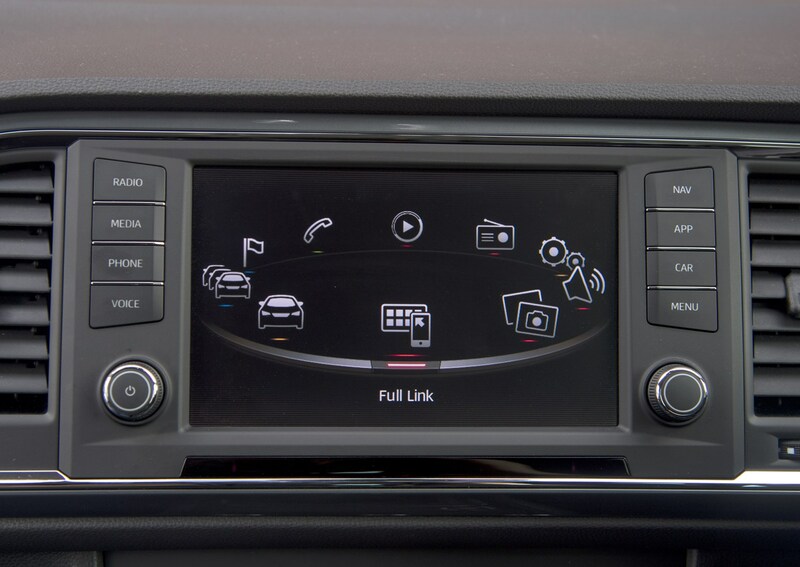 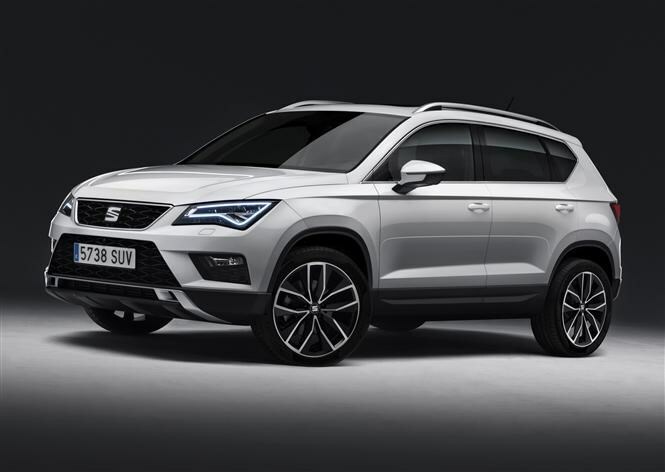 Standard cars come with 17-inch alloys, air-con, LED daytime-running lights, a 6.5-inch touchscreen, climate control, electronic parking brake, Apple CarPlay, Android Auto and four drive modes, but you’ll want to move further up the range for a more plush-feeling Ateca. 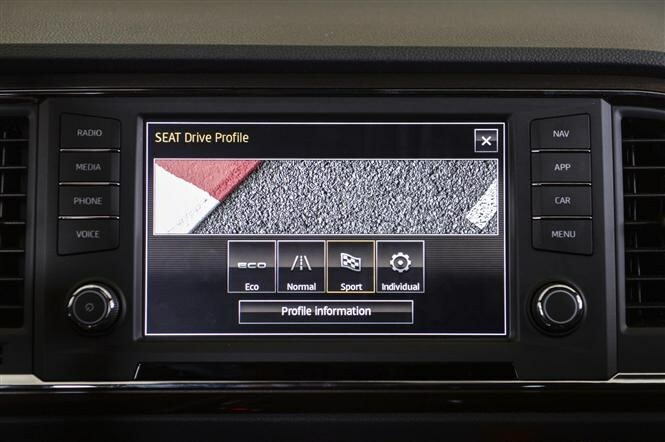 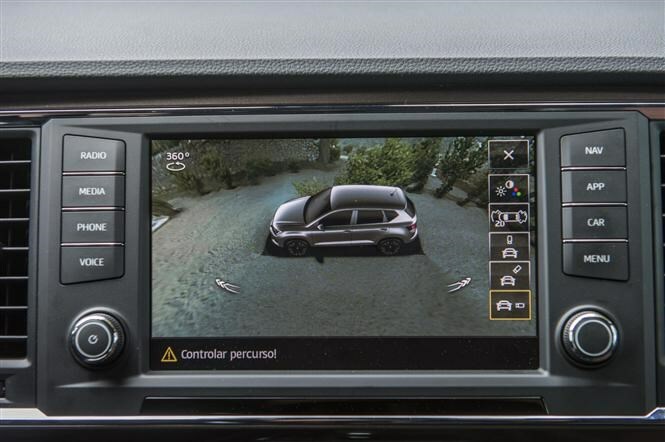 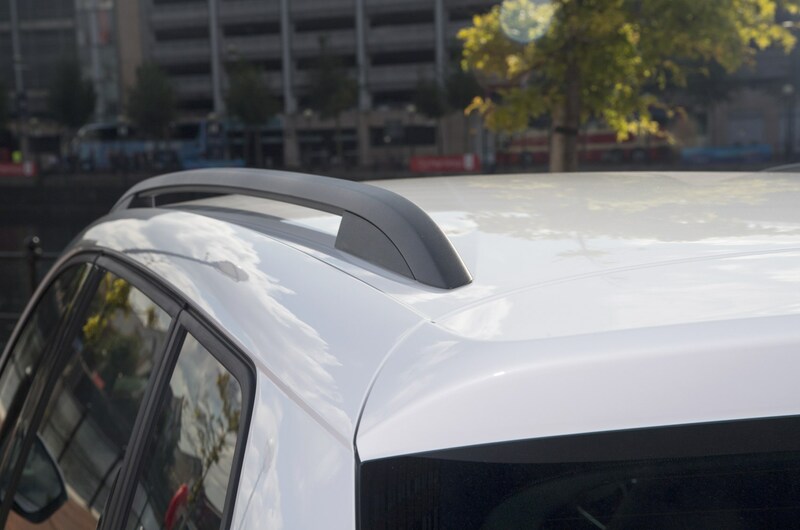 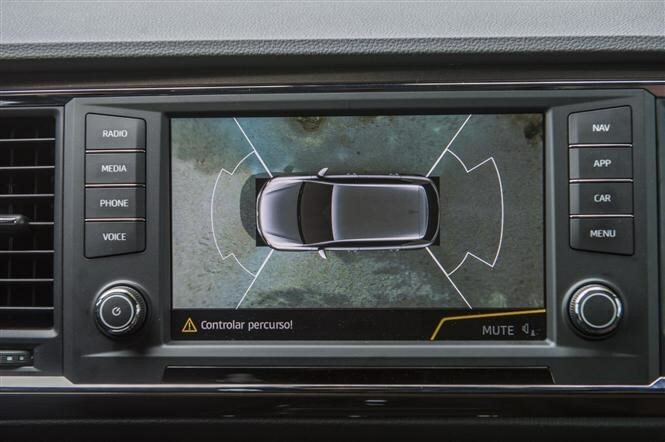 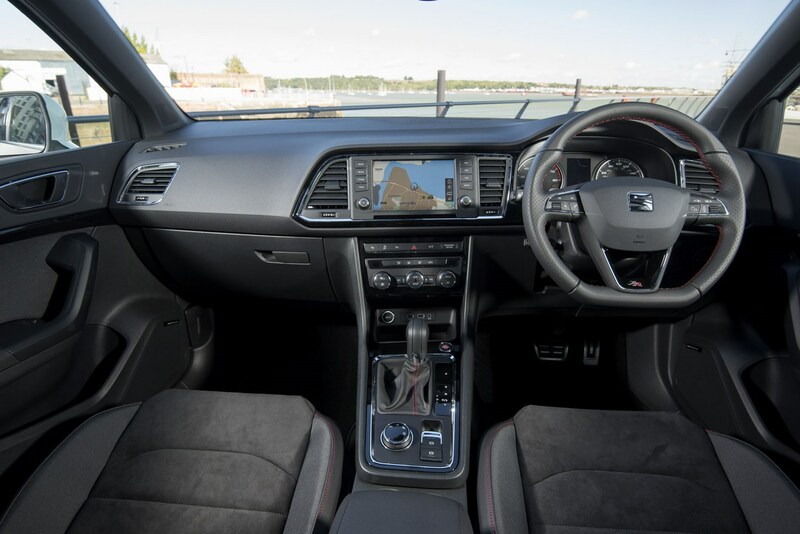 There’s a whole raft of safety and assistance systems that can be added as well, making your driving experience as stress-free as possible. 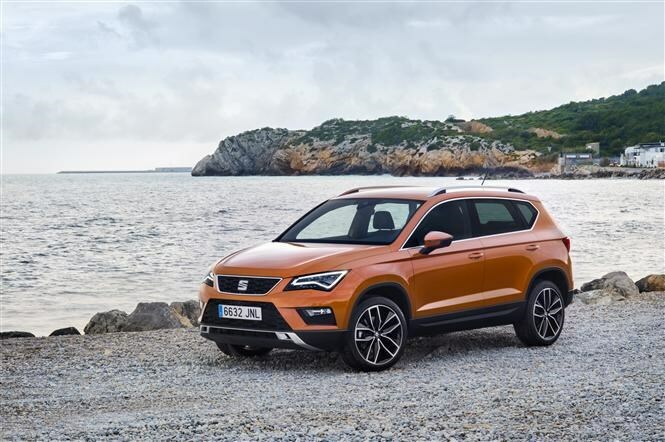 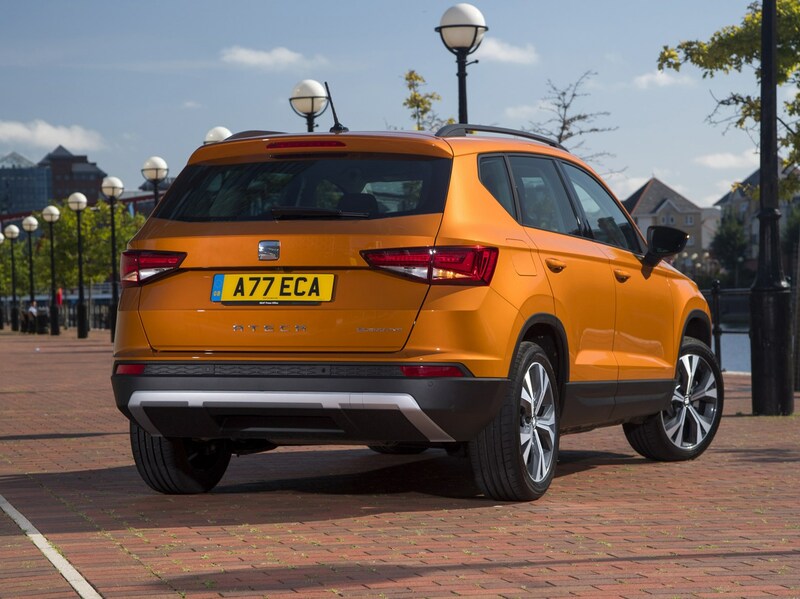 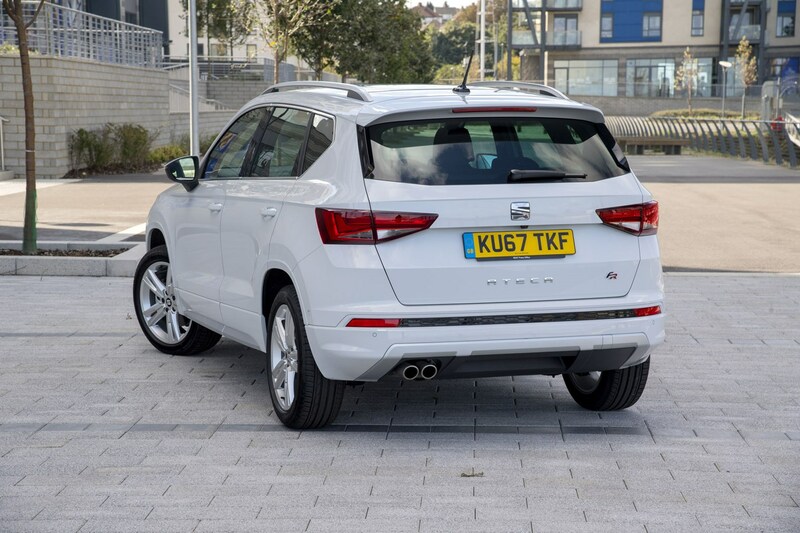 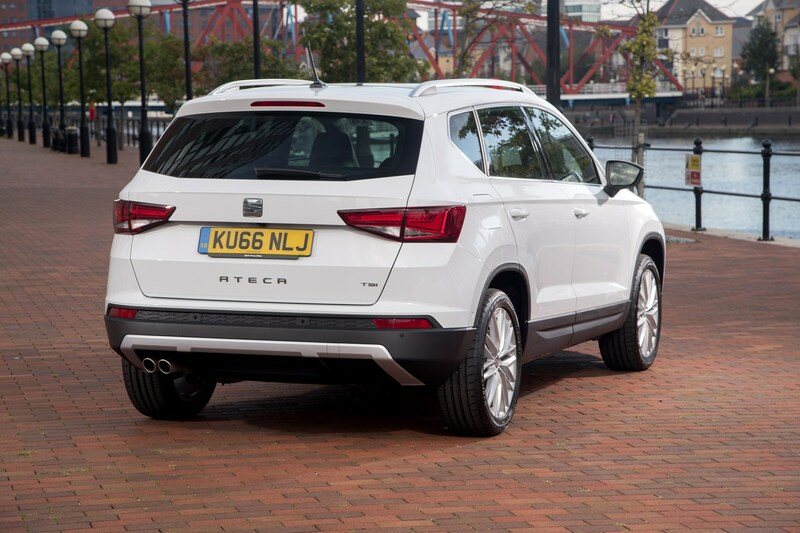 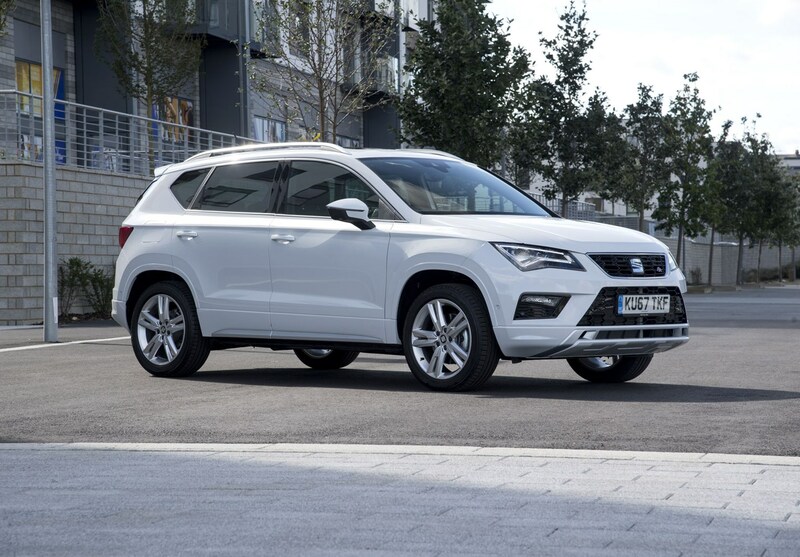 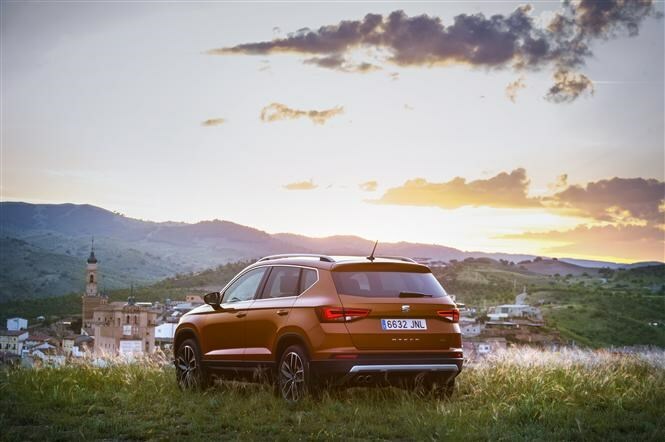 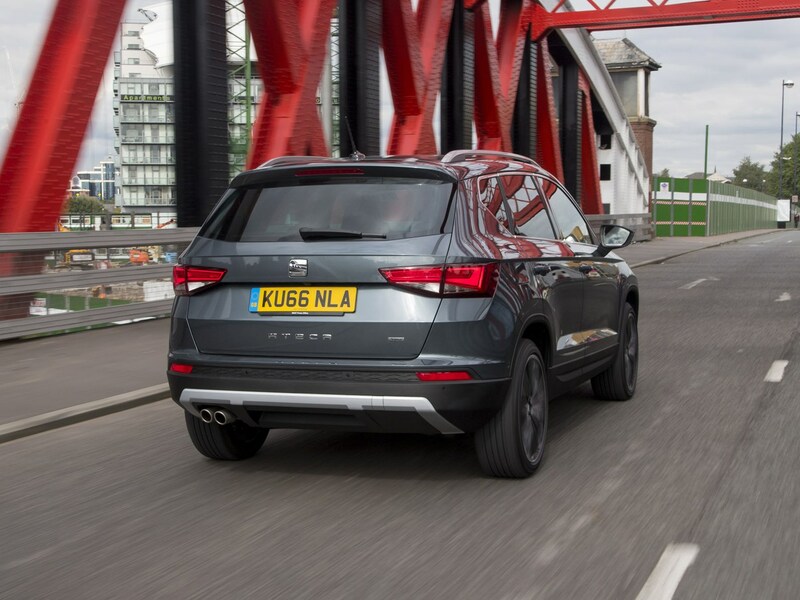 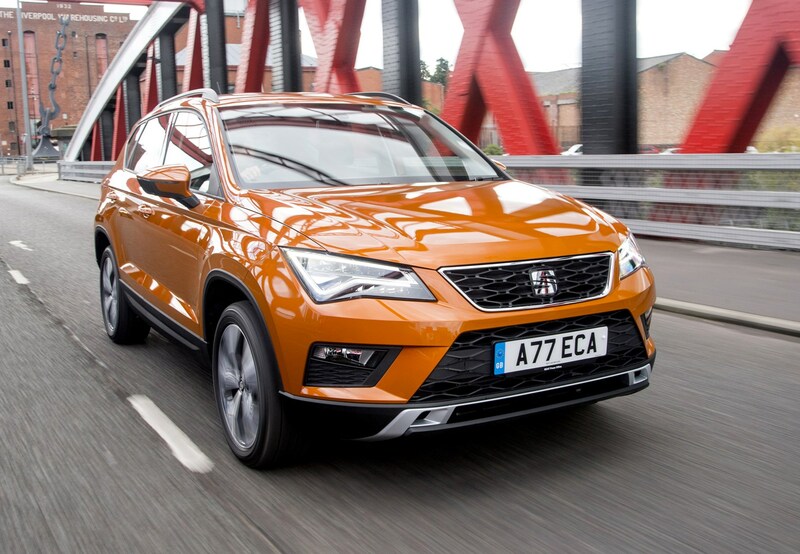 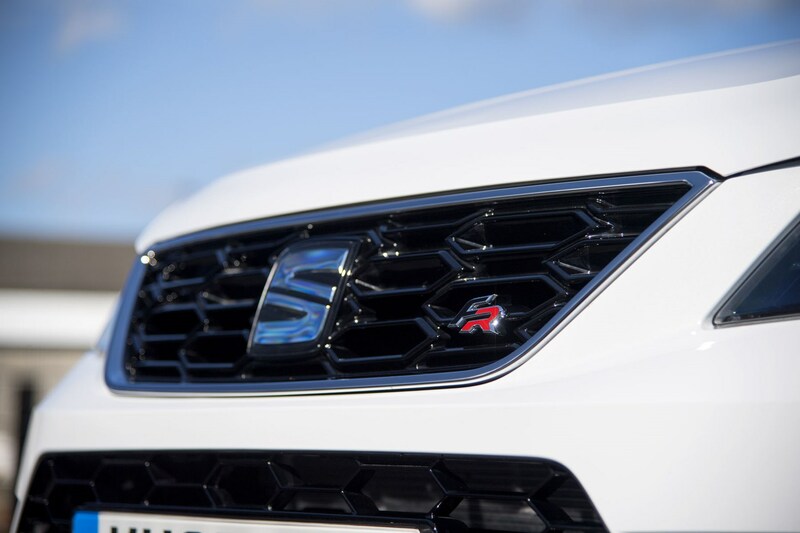 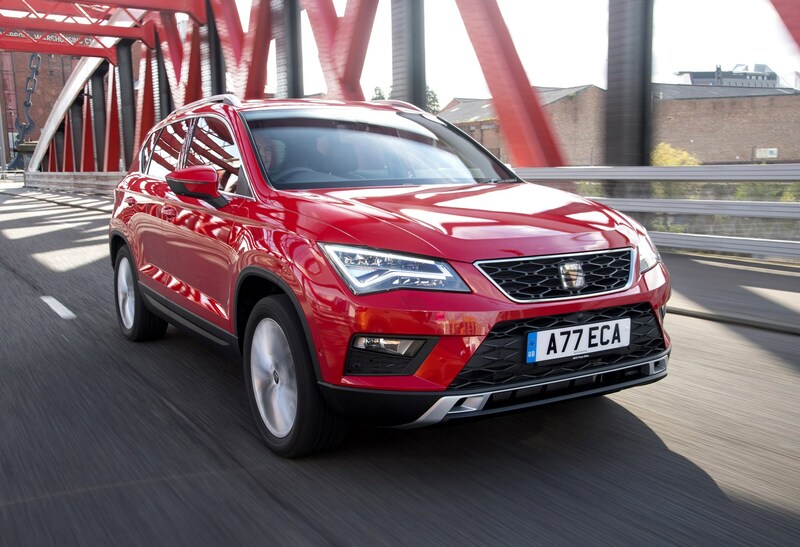 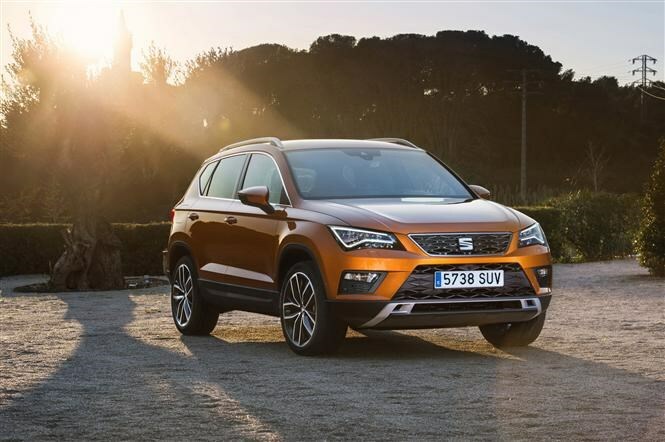 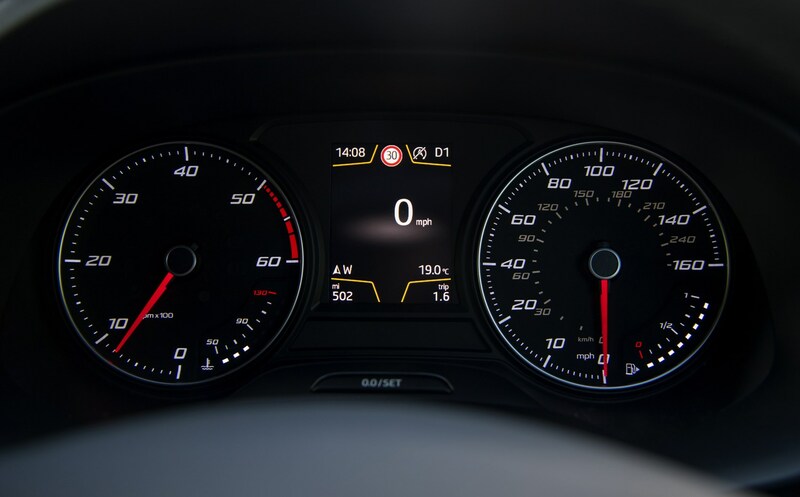 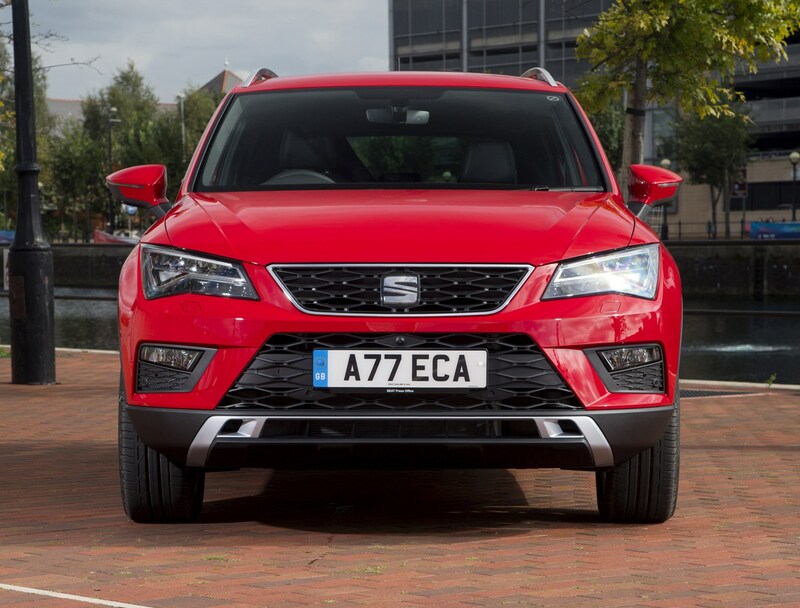 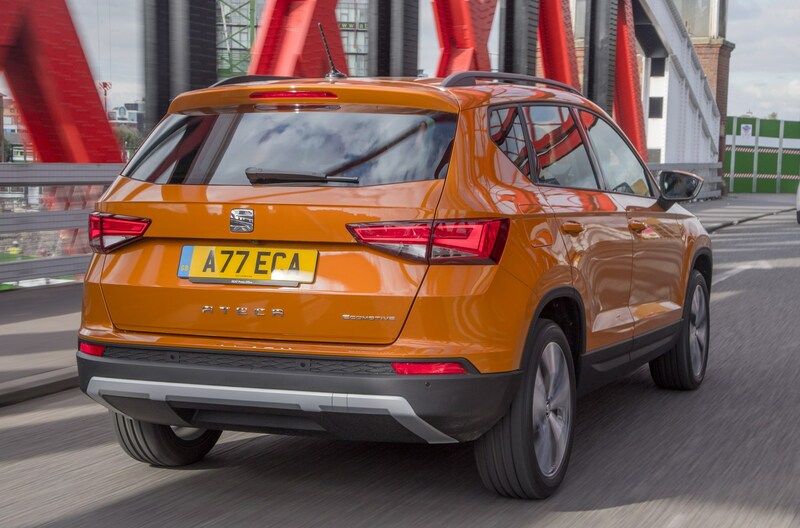 The SEAT Ateca engine the line-up consists of your usual choice of petrol and diesel engines in a wide range of outputs. 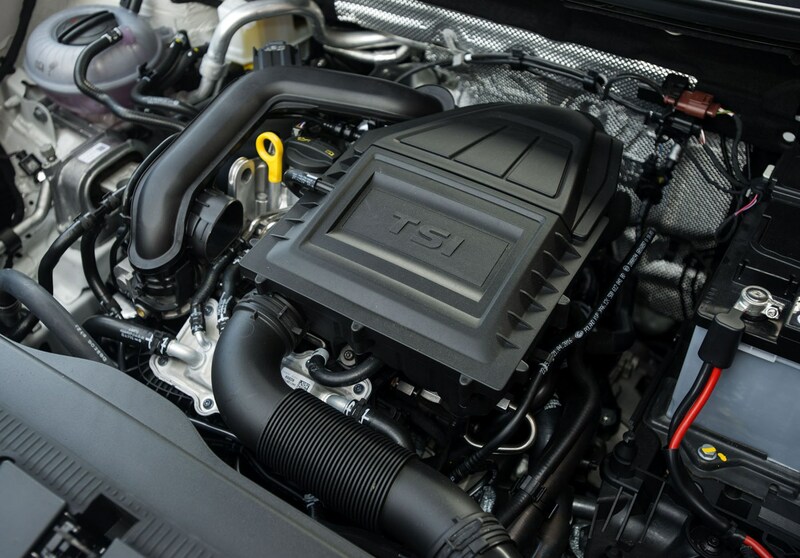 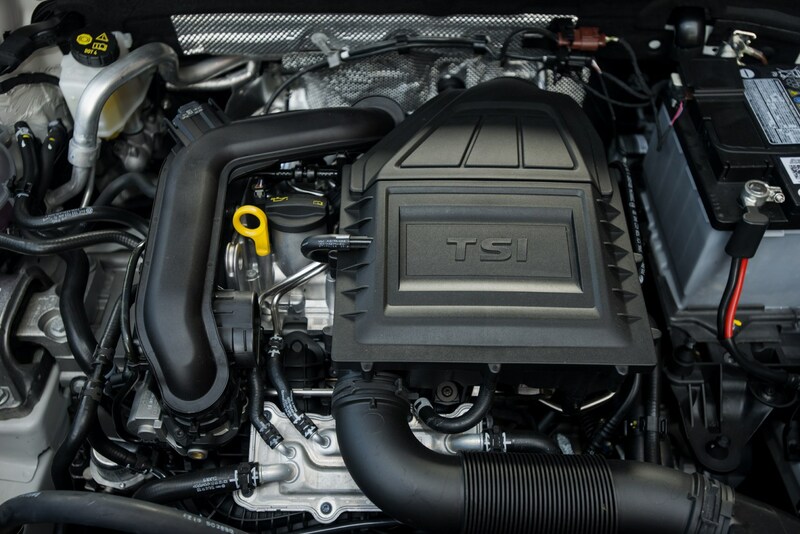 Petrol-wise there’s a fuel-sipping 1.0-litre EcoTSI unit with three cylinders and a 1.5-litre TSI Evo that can shut down half its cylinders when they’re not needed to maximise economy. 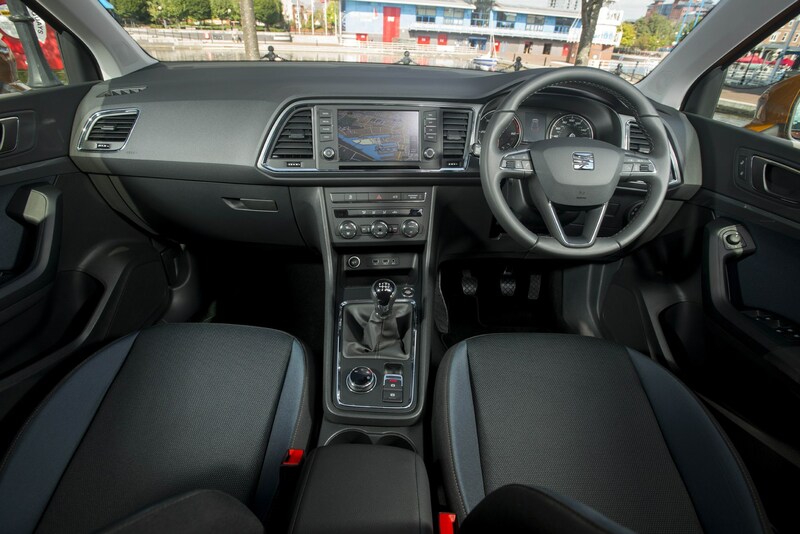 At the top of the petrol range is a 2.0-litre EcoTSI with 190hp with an automatic gearbox and all-wheel drive. 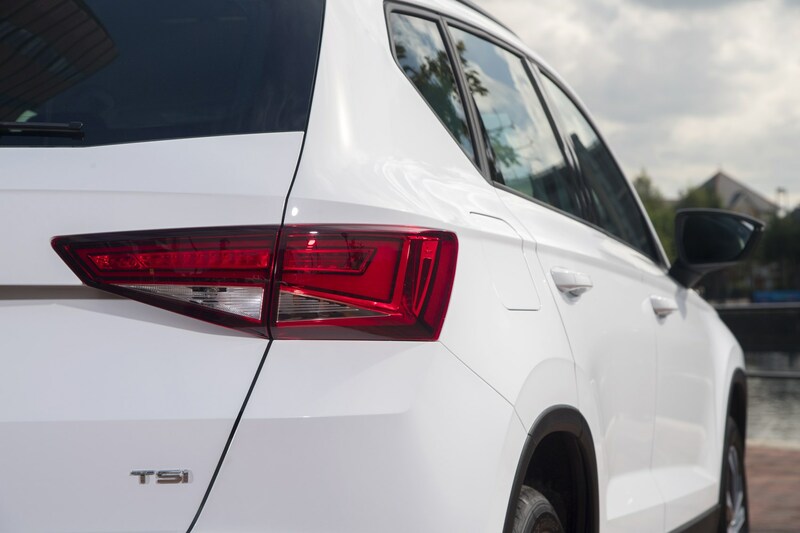 If you prefer diesel power, buyers can choose between 115hp 1.6-litre TDI, 150hp 2.0-litre TDI and 190hp 2.0-litre TDI engines. 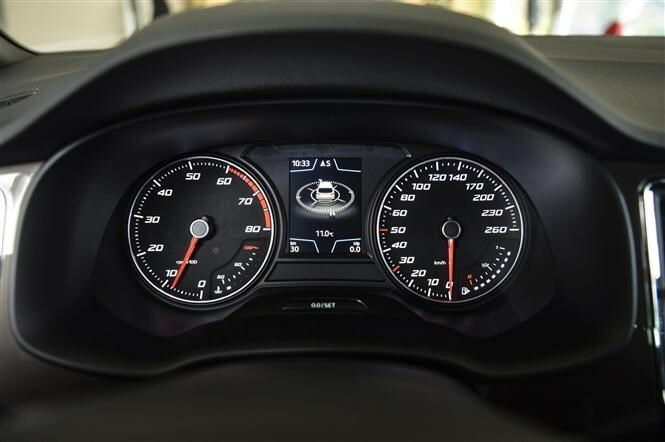 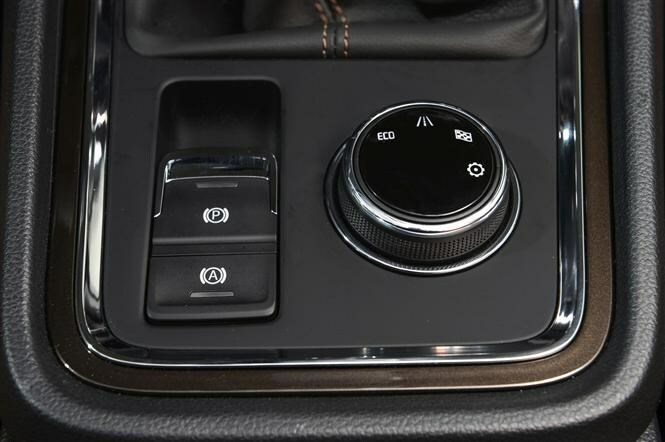 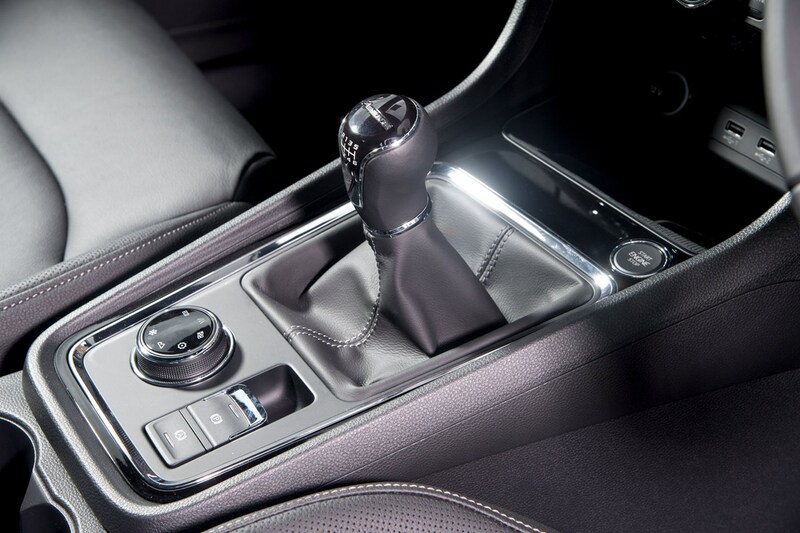 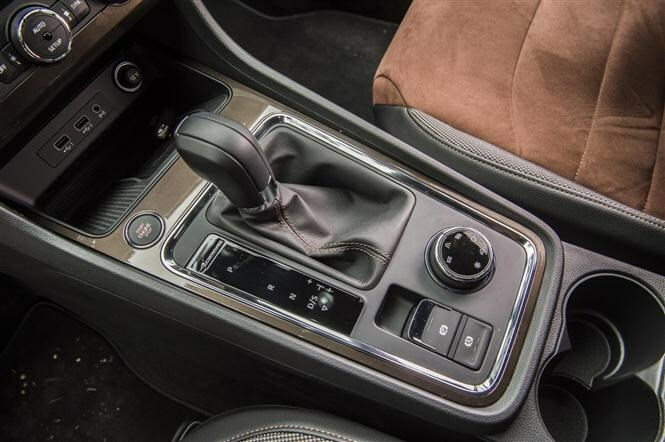 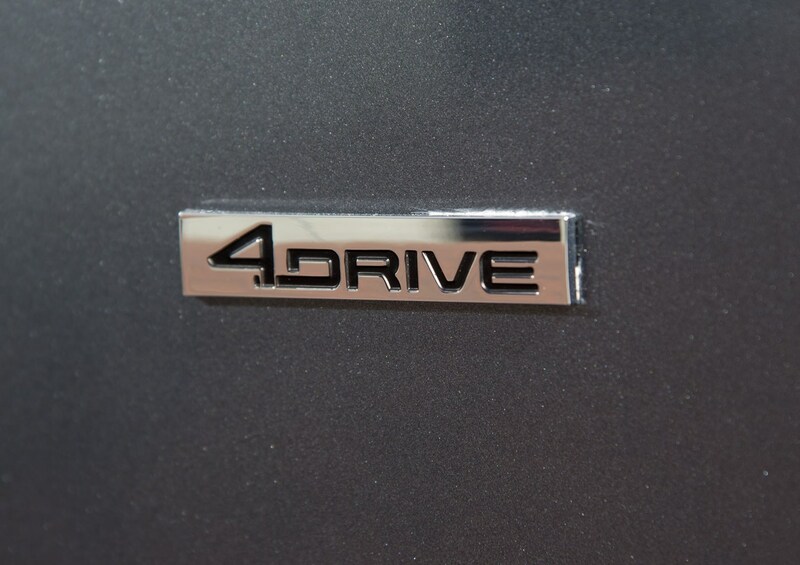 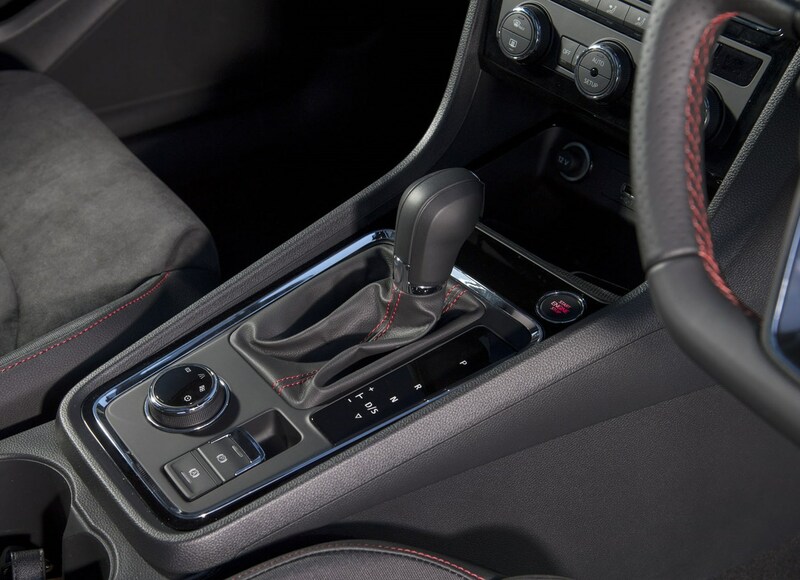 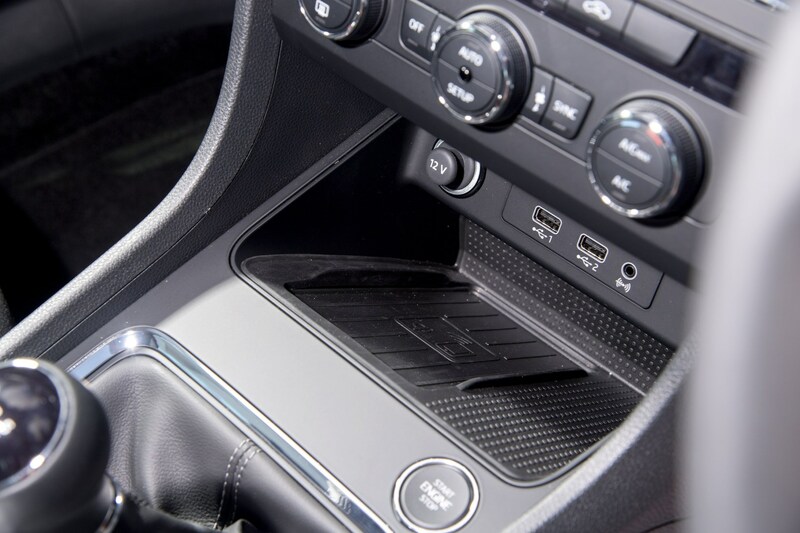 A combination of automatic gearboxes and 4Drive all-wheel drive systems can be specified on particular engines, meaning there should be something to suit most tastes. 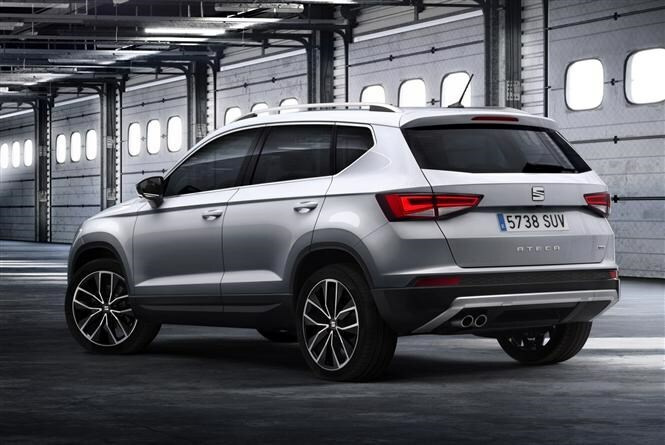 Sitting in its own little sub-brand is the Cupra Ateca. 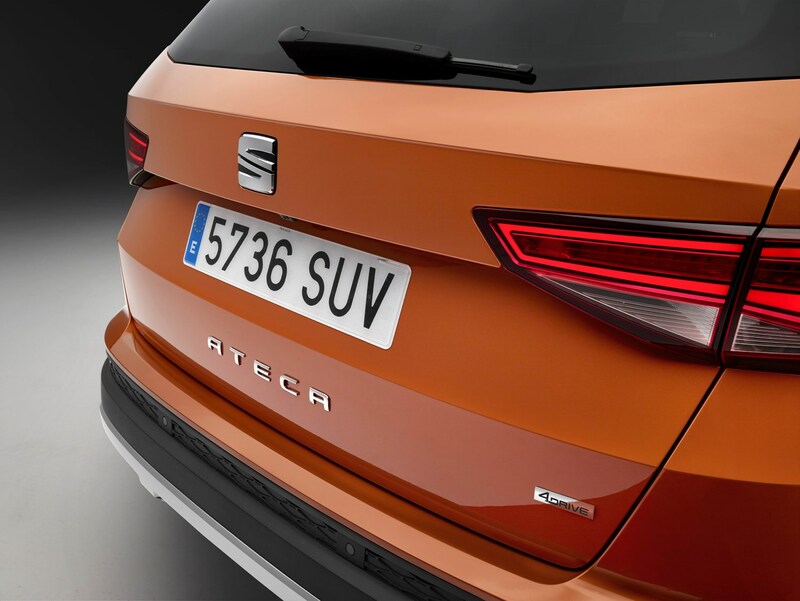 With no SEAT badges in sight, it's the first model under the newly-formed Cupra sub-brand, and the debut model is based on the Ateca, with a 300hp 2.0-litre TSI engine under the bonnet, unique styling and a DSG gearbox and 4Drive all-wheel drive. 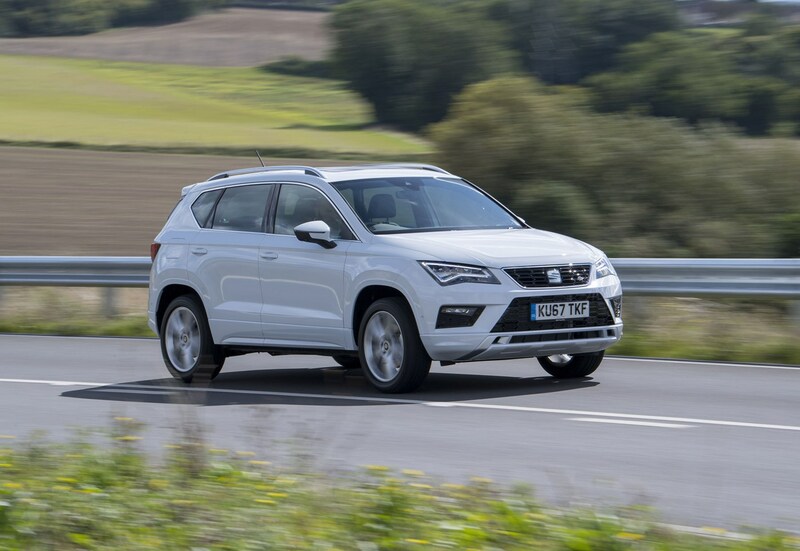 Does the Ateca drive like a SEAT? 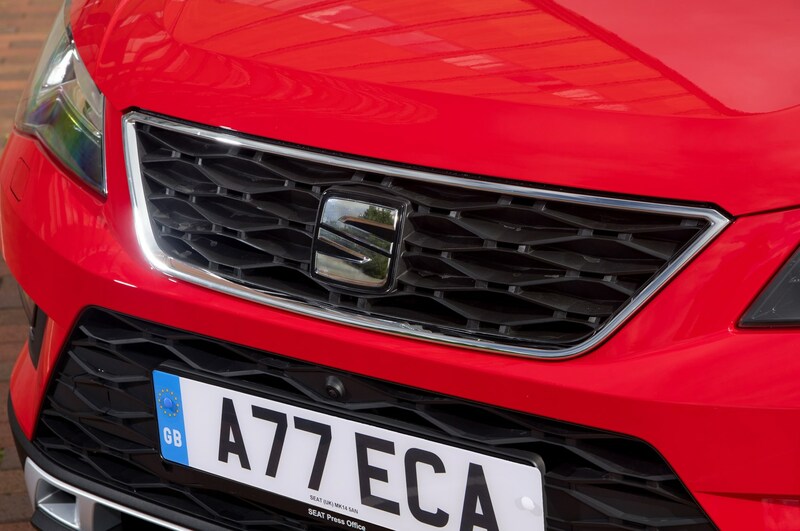 Alongside those sharp creases in the bodywork, an equally sharp drive has become something of a SEAT hallmark. 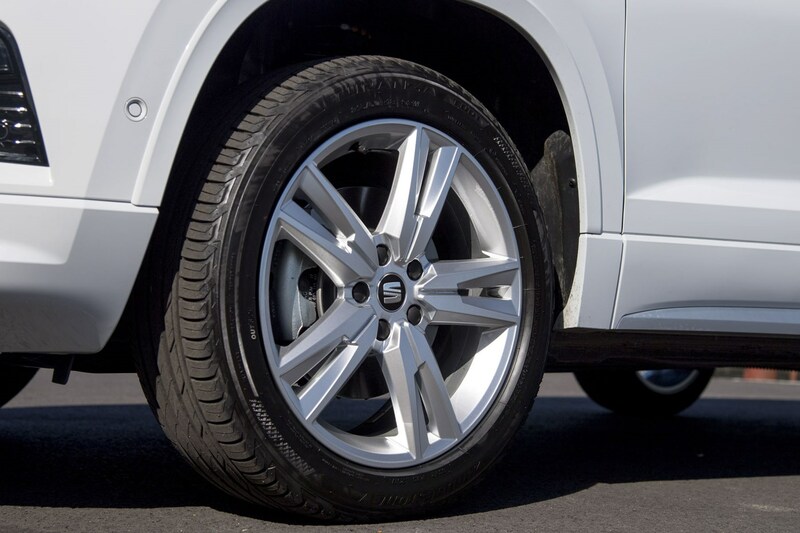 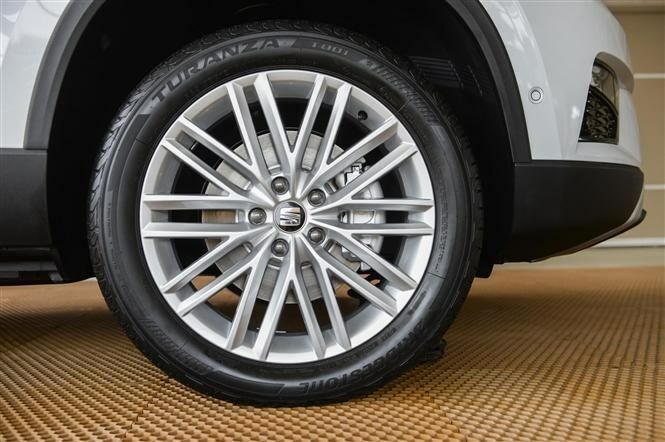 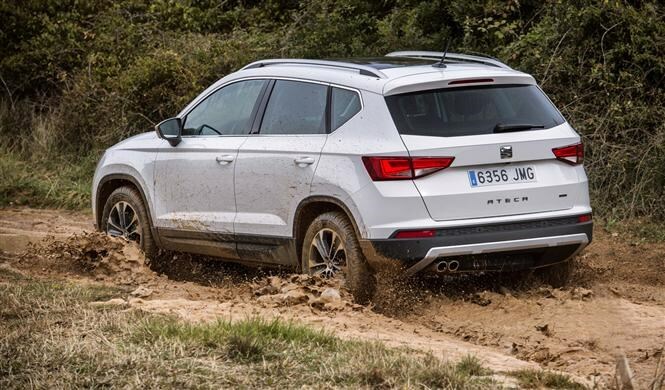 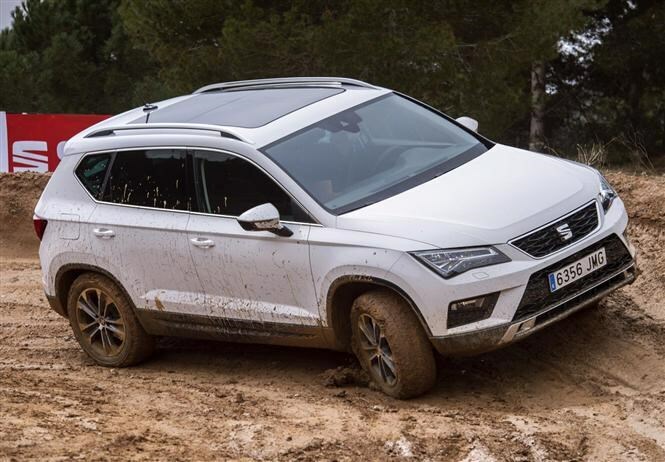 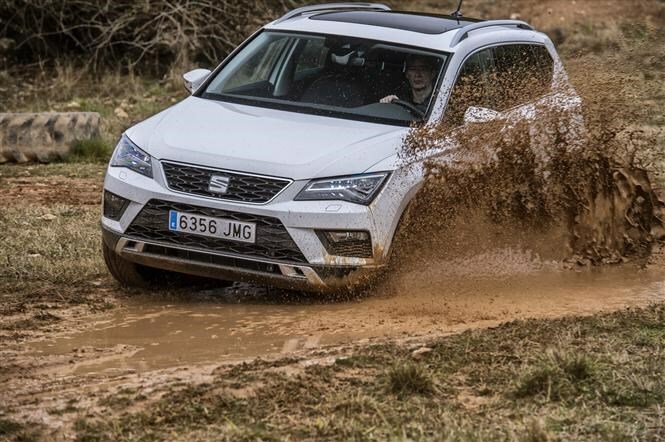 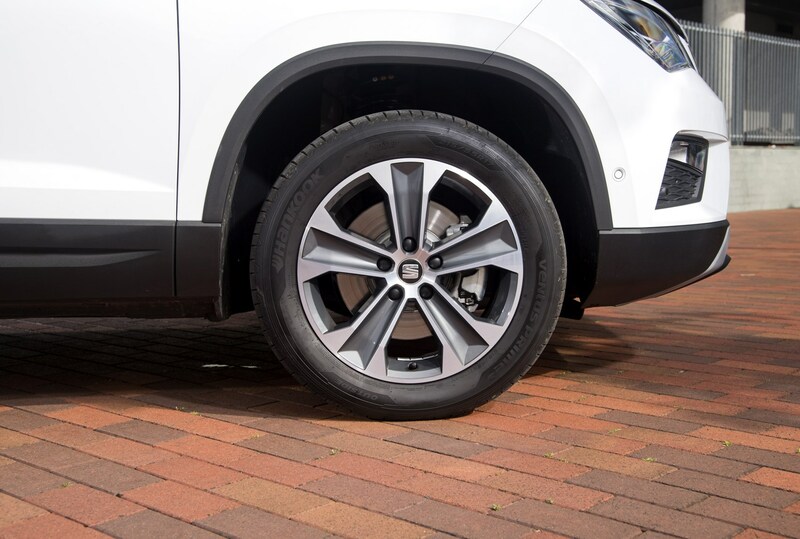 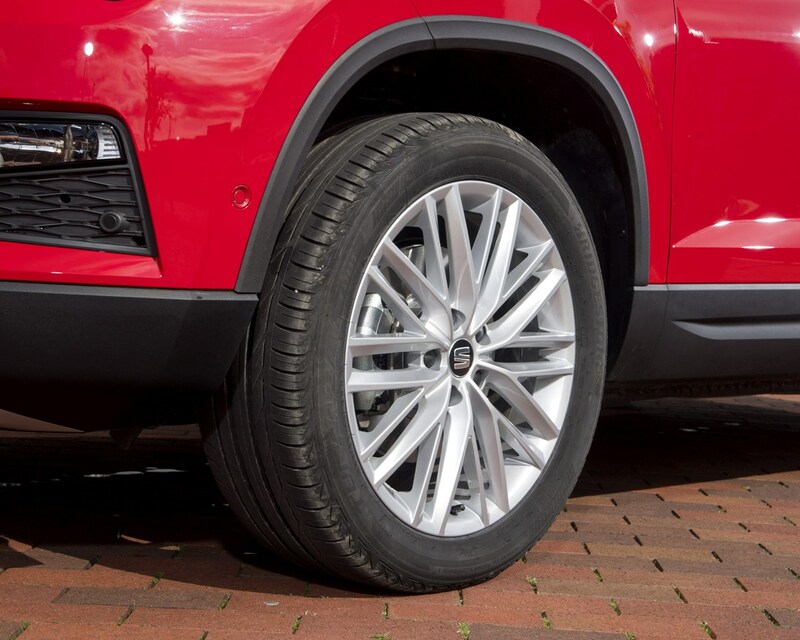 We’re happy to report that the Ateca carries on this tradition with a firm but supple ride and steering that reacts quickly to wheel movements. 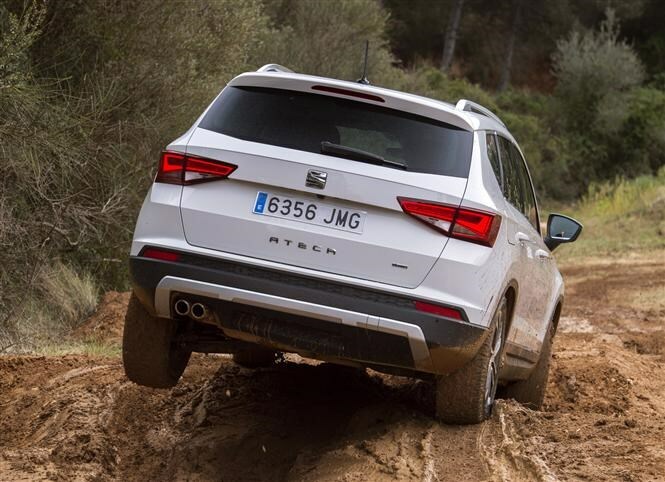 In short, it’s great fun for what is essentially a sensible family car. 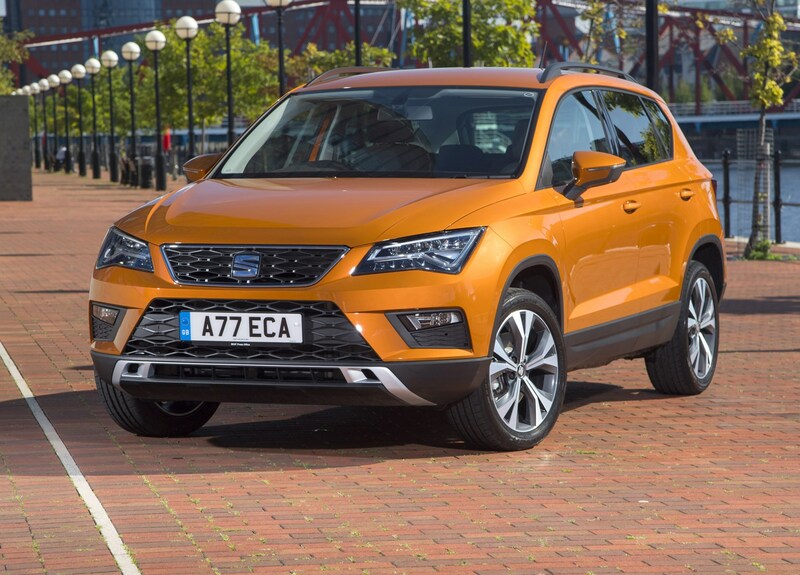 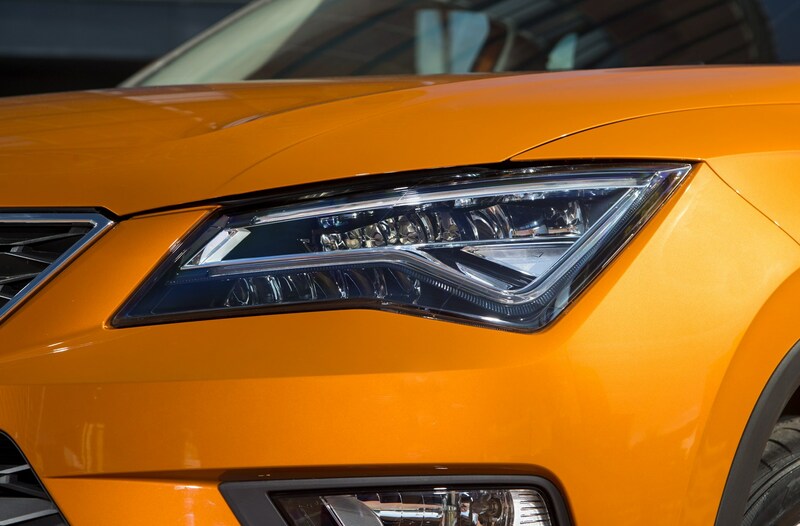 Can those good looks and sporty characteristics do enough to drag customers away from default SUVs like the Nissan Qashqai, though? 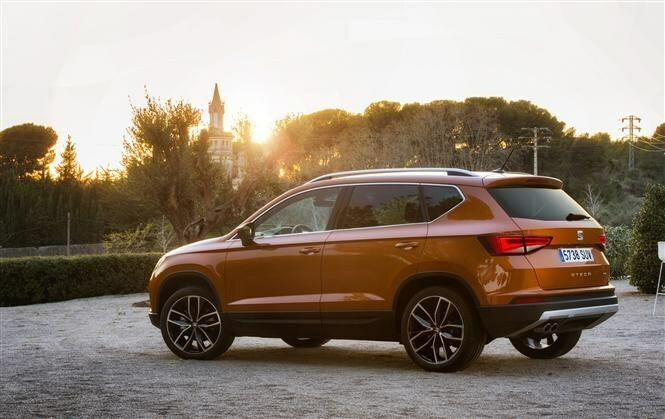 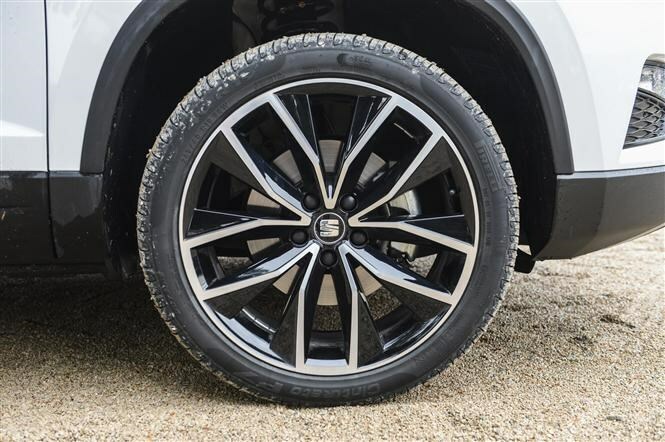 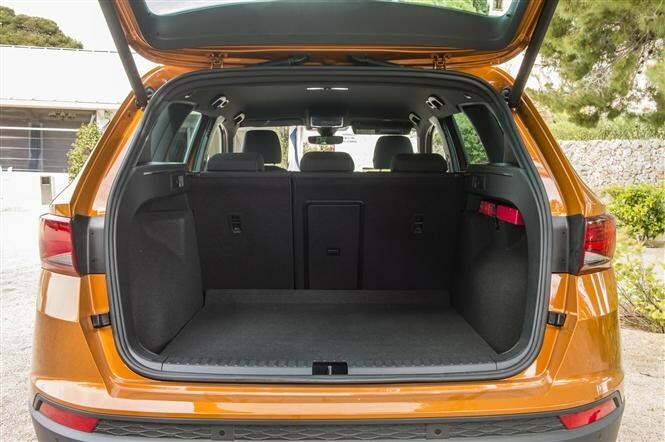 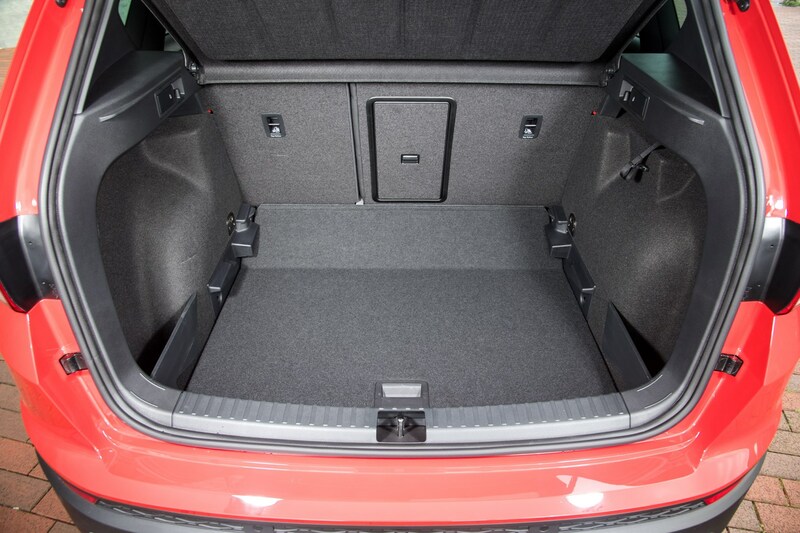 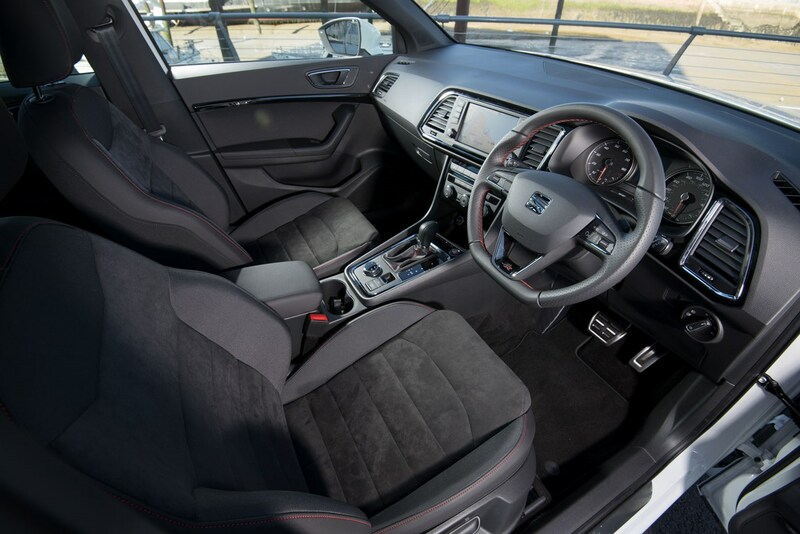 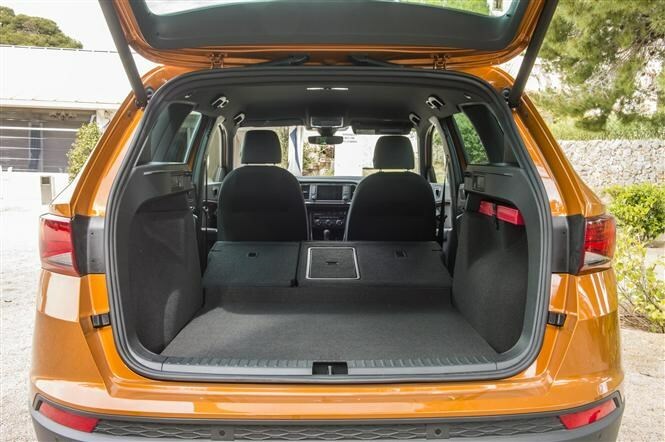 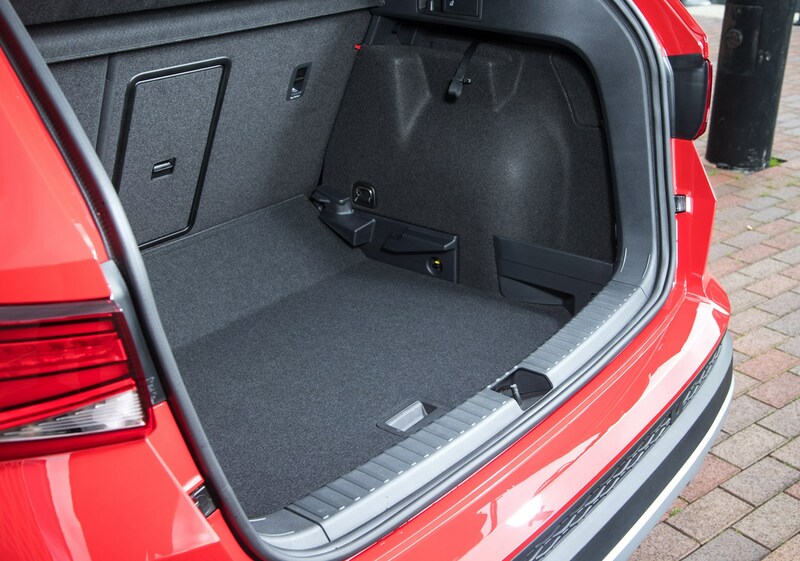 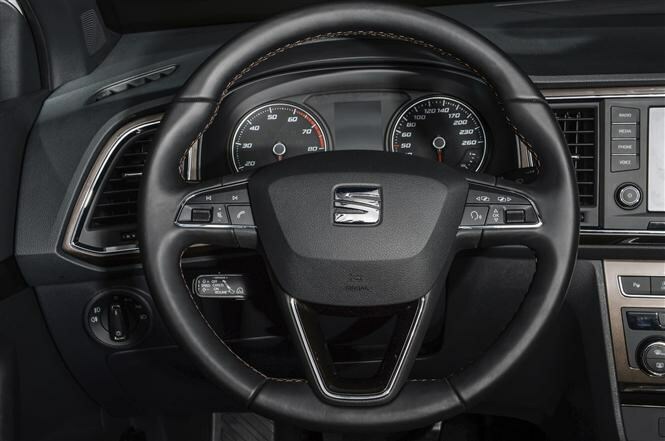 The SEAT Ateca offers sharp styling, fairly compact dimensions and one of the most spacious interiors of any car of its size. 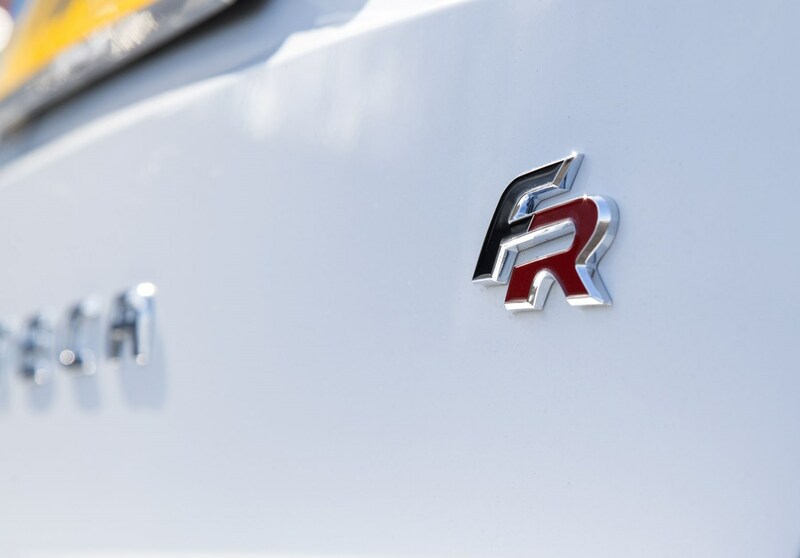 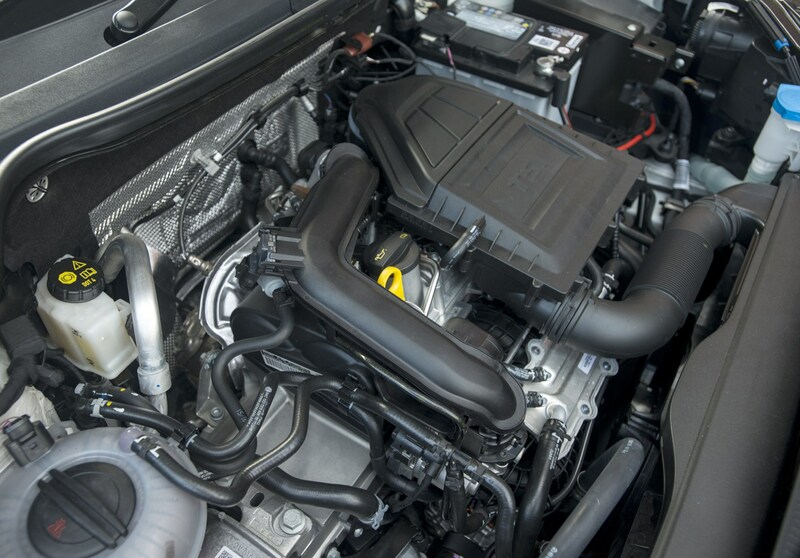 There’s wide choice of engines to choose from, too, which boosts its appeal as a driver’s car, and not just a family runaround. 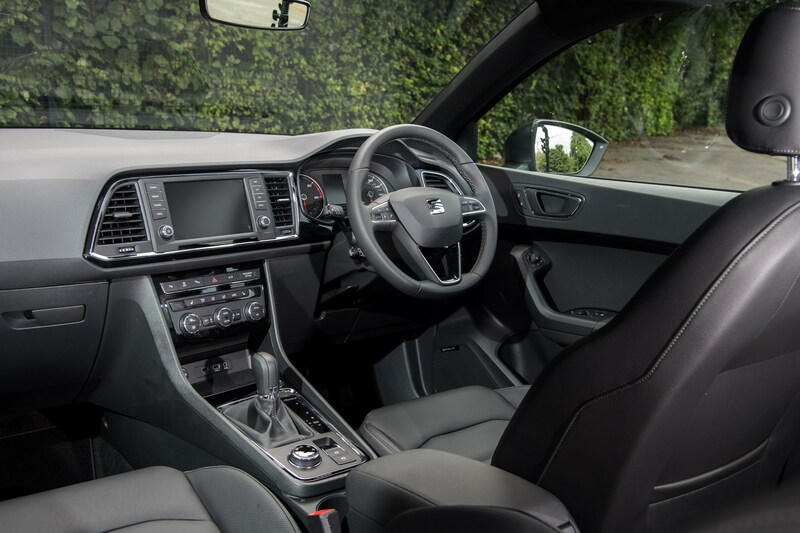 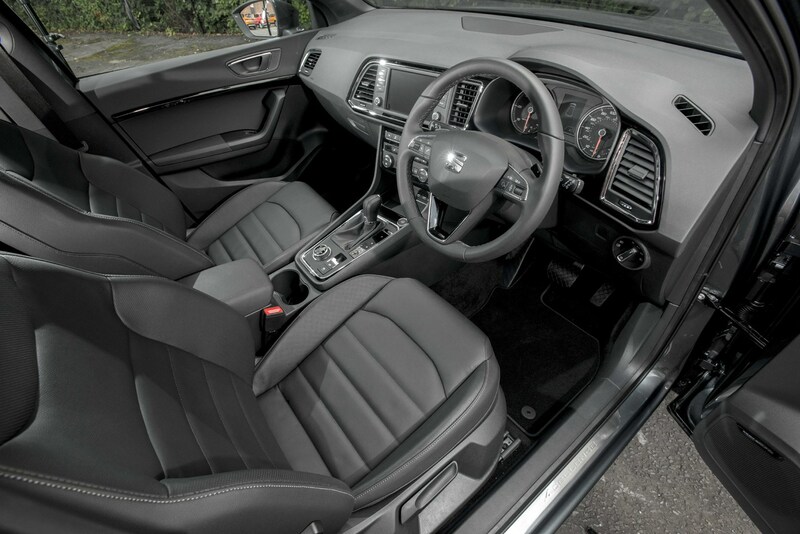 Add to that a well-equipped interior that feels well built (if a little dull) and it’s an excellent proposition.